What lies beneath the murky waters of Loch Ness has long been an international source of fascination and speculation. Now a team of researchers are using Big Data technology to help their genetic detective work to see if microscopic traces of the monster’s DNA are drifting around in the depths of the lake. Led by Neil Gemmell, a professor at the Department of Anatomy in New Zealand’s University of Otago, the international investigators will take samples with the broader aim of documenting the aquatic life of Loch Ness and comparing the findings with other Scottish lochs. 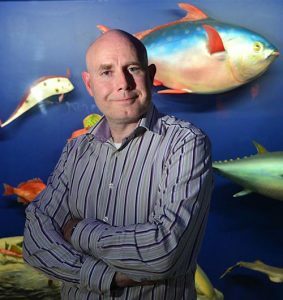 His real belief is that the team may find evidence of new or invasive species living in the loch – there have been reports of Pacific pink salmon being seen there. If nothing else, the research will offer a better understanding of the native species and may reveal new bacterial strains. Environmental DNA (eDNA) sampling techniques are now established tools for monitoring whales, sharks and other animals. The system has become viable because of the incredible growth in DNA databases as the technology involved in genetic sequencing has become cheaper and more available. The main publicly accessible database GenBank doubles in size about every 18 months. Gemmell’s team include members from the UK, Denmark, USA, Australia and France, including some of the pioneers and leaders in this new field of study. “We have the opportunity through this project to demonstrate the scientific process: How hypotheses are established and tested, the need to replicate, use controls and account for observer bias using double-blind methodologies. These are all important parts of this story,” he concluded. Whether Nessie shows up or not, the resultant research papers will inevitable make a big splash in the pool of genetics.